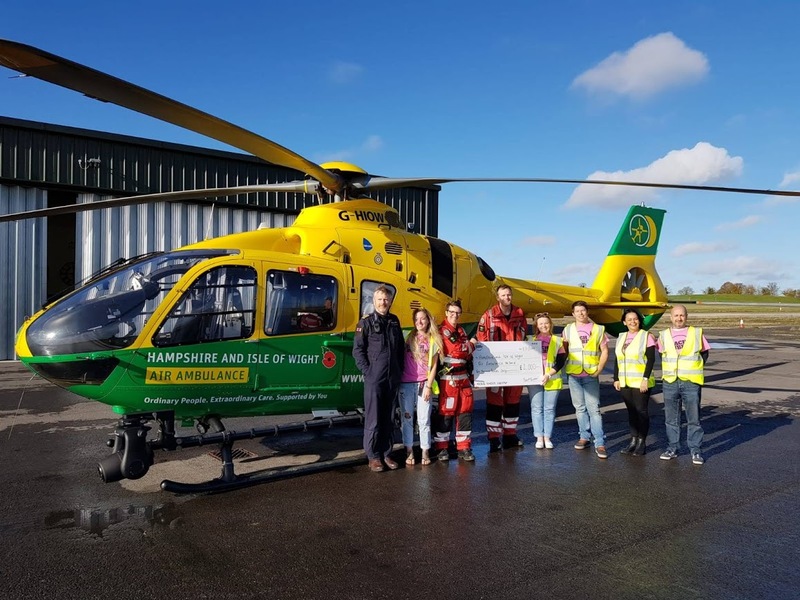 Organisers from ‘Beach Dubbin’ decided to donate some of the proceeds of the day to our charity, after witnessing the Air Ambulance land at their event while on an emergency call. Beach Dubbin was held on Southsea Common on the 5th August (2018) and hundreds of exhibitors attended, drawing in even more enthusiasts. Volunteers at the show quickly organised a cordon to keep spectators safe and ensured the Critical Care Team had enough space to land. The Beach Dubbin team visited the airbase on Sunday (11th November) to officially present us with a cheque and to meet the team. They also surprised us by announcing their support for us at their next event in 2019!